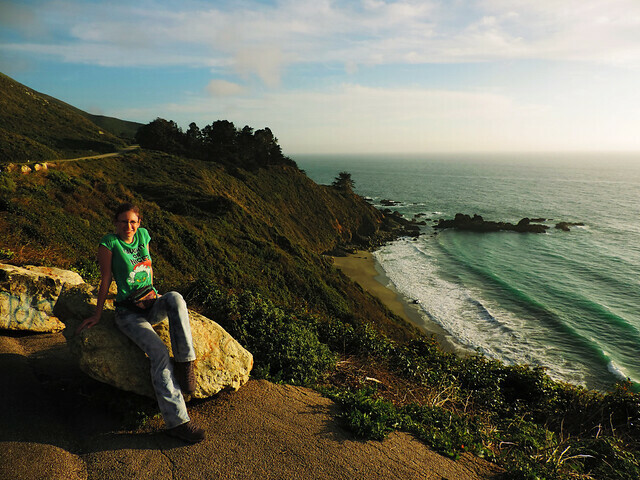 We’ve already told a lot about California State Route 1 (Highway 1, Pacific Coast Highway or whatever you’d like to call it) and why we are so in love with its breathtaking ocean views and wildlife watching opportunities. Now we want to highlight our favorite part of this long highway and share our 1 day itinerary for roadtripping along the Big Sur coastline in Central California. 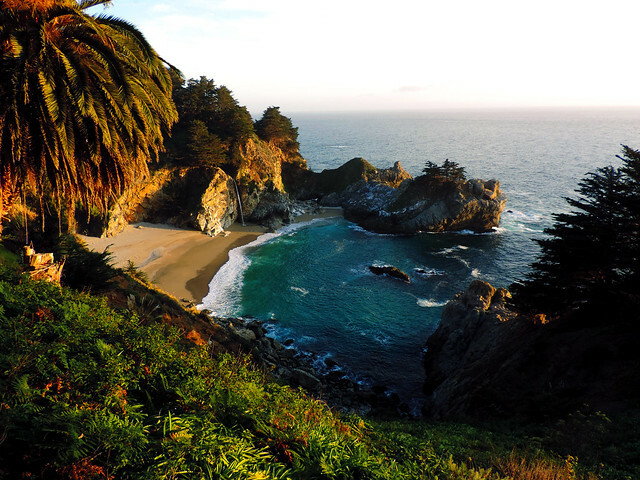 In our opinion Big Sur is the most wonderful section of Highway 1! Carmel-By-The-Sea is right next to Monterey and it’s also such a lovely town! It’s famous for its art galleries and its central walking street heading to the beach is nice, too. Then comes that wild coastline! 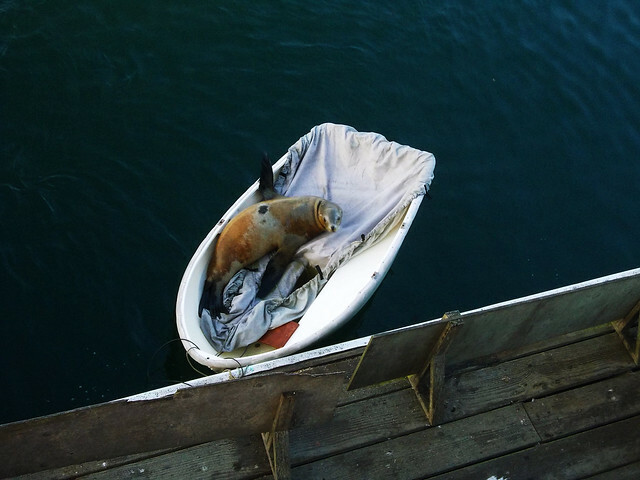 But after a short walk in Monterey and Carmel it’s time to head south into the wild beauties of the Pacific Coast! This state park was our first longer stop. 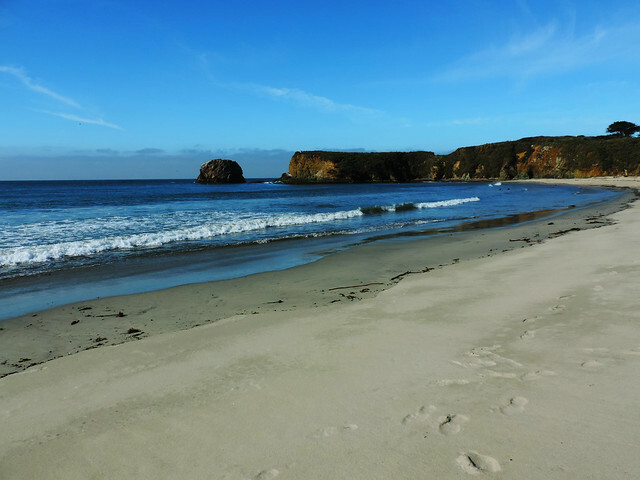 It has an 8.8 miles loop trail (Andrew Molera Loop) on the coast which offers spectacular views and access to some very beautiful remote beaches. 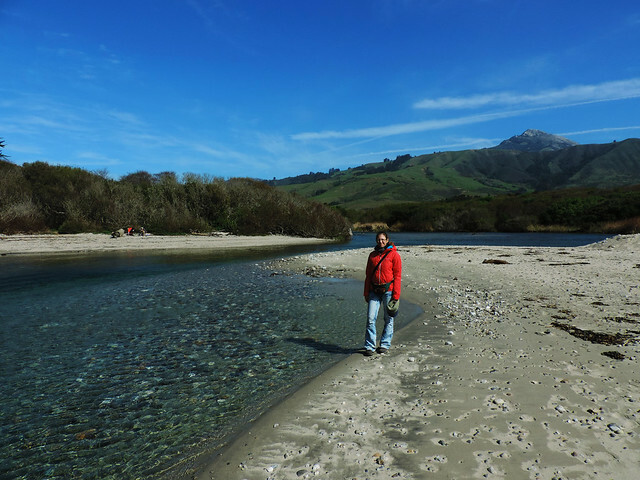 Of course, doing the whole loop and driving all along Big Sur takes more time than what would fit into a day (but if you have more, that’s great! ), but you could do just part of it, that’s what we did. 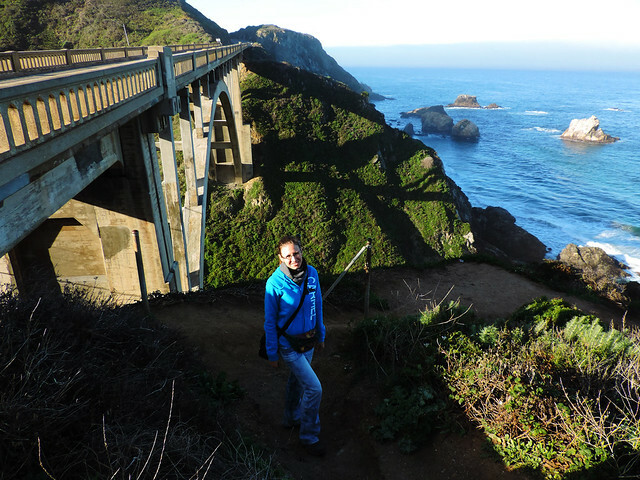 Watch out for the trailhead of Partington Cove Trail, it comes a little bit before Julia Pfeiffer Burns State Park. There’s a short (1 mile round-trip) and steep hike down to a scenic rocky beach and through a tunnel to Partington Cove. McWay Falls is probably the most popular spot along Big Sur – and probably the most photographed, too. This magically beautiful bay with the waterfall that flows into the ocean is like a perfect painting – it’s hard to believe it exists in reality, but it does! The Waterfall Trail is only a 0.64 mile easy round-trip and you can just park next to the road to access the trail. This awesome coastal bluff walk is somewhere between Lucia and Gorda and you need to watch out for a larger pullout and the sign for Pacific Valley Bluff Trail. 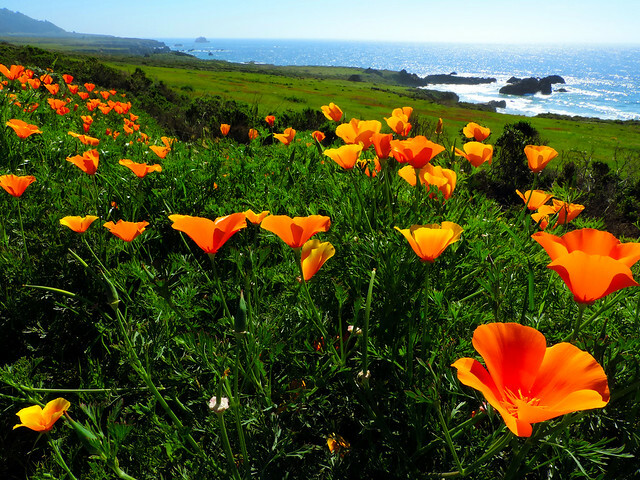 This area is especially wonderful in early spring when hundreds of California poppies are in bloom! Salmon Creek Falls is just a bit north of Ragged Point. It’s a 10 minutes hike to reach the falls which is hidden in the forest. It’s less popular and also less crowded than McWay Falls. I think ‘officially’ Ragged Point is the end of the Big Sur coastline and by the time you reach it, I bet it will be already late afternoon. 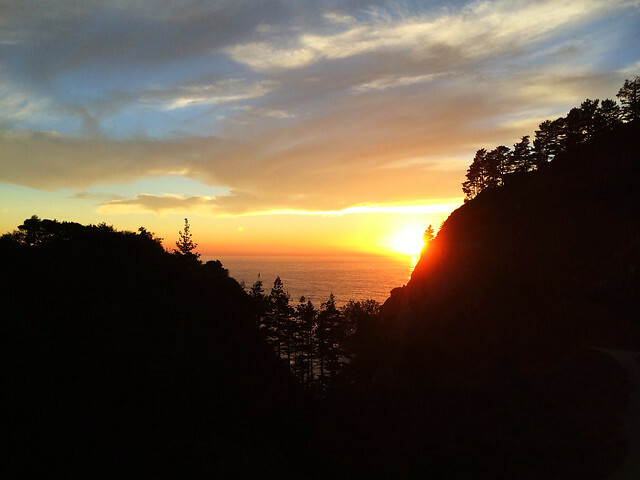 Driving back to McWay Falls for viewing the sunset could be a perfect ending of this road trip. 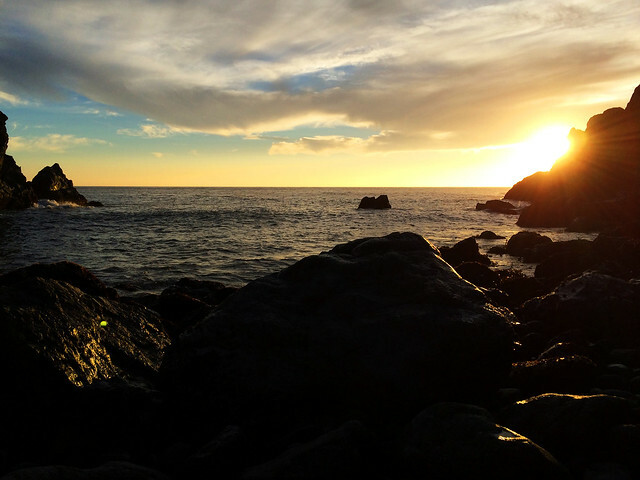 But if you don’t have time to get there to catch the sunset, you can just stop wherever you want, Big Sur won’t disappoint you! Do you have any favorite coastal road trips?